"Jaws" movie marathon, 1 p.m on AMCJust when you thought it was safe to watch a movie marathon, AMC will air the entire "Jaws" franchise. 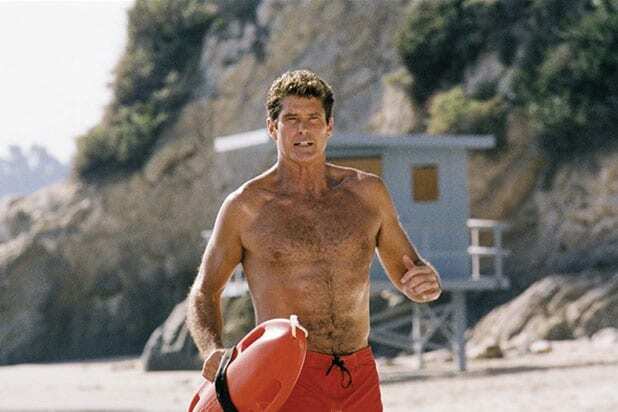 "Baywatch" Marathon, 11 a.m. on PopBeautiful people in tight swimsuits run in slow motion on a beach in this classic 90s series. "Veep" marathon, 2:30 p.m. on HBO2Julia Louis-Dreyfus does her best not to run the country into the ground. "The Simpsons" marathon, 6 p.m. on FXXEveryone deserves to spend quality time with Springfield's first family. "Homeland" marathon, 8 a.m. on ShowtimeClaire Danes uses espionage to protect your freedom, you ingrate. 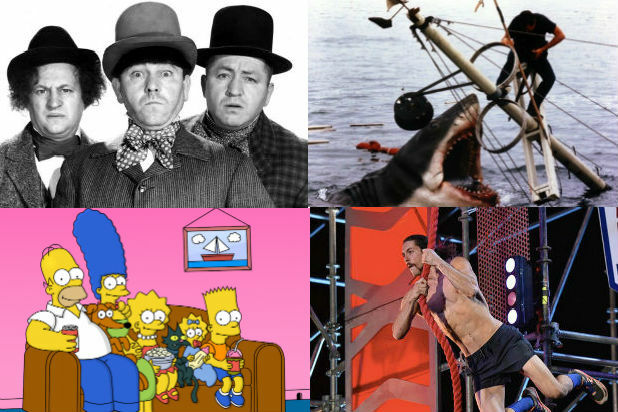 "American Ninja Warrior" marathon, 7 a.m. on EsquireHighly-trained athletes complete challenging obstacle courses. Or total schlubs fall and bust their butts. Either way, it's fun to watch. "Shark Tank" marathon, 1 p.m. on CNBCAspiring entrepreneurs pitch their best ideas to a panel of business experts. "Three Stooges" marathon, 6 a.m. on IFCLarry, Moe, and Curly took slapstick to a whole new level in these classic comedy shorts. "The Andy Griffith Show" marathon, 9 a.m. on TV Land Andy spends most of his time philosophizing and calming down his cousin in a small town in North Carolina. "NCIS" marathon, 7 a.m on USA NetworkNot even a day long marathon could totally catch you up on the 13 seasons of this procedural favorite. "Criminal Minds" marathon, 9 a.m. on IonProfilers analyze dangerous criminal minds in an effort to anticipate their next moves. "Idris Elba: No Limits" marathon, 7 p.m. on Discovery ChannelThe international film star indulges his passion for speed in this racing miniseries. "Macy's Fourth of July Fireworks", 7 p.m. on NBC The annual fireworks display over the East River will light up the sky. "A Capitol Fourth", 8 p.m. on PBSWatch the Capitol's firework extravaganza from the West Lawn of the White House. "Boston Pops Fireworks Spectacular," 9 p.m. on CBSFounded in by Arthur Fiedler in 1929, this is one of the best-attended Independence Day celebrations in the country with estimated crowds of 200,000-500,000 people.